The Conservatives are promising to disrupt today’s budget speech after the majority Liberal MPs on the justice committee shut down an investigation into the SNC-Lavalin affair. “We’re certainly going to make sure that Canadians understand that what is going on in Parliament regarding Justin Trudeau’s coverup is really important to know,” Conservative MP Lisa Raitt said in an interview with CBC News. Finance Minister Bill Morneau was set to deliver his budget speech at 4 p.m. ET in the House of Commons. That has already been delayed by about 35 minutes for a vote. “The budget is actually an order of the House, so there’s no way to prevent the budget from being tabled but we can make our voices heard during the time the budget is being presented,” said Raitt. The committee was looking into allegations the Prime Minister’s Office and other officials inappropriately pressured Jody Wilson-Raybould, justice minister and attorney general at the time, to allow Quebec engineering firm SNC-Lavalin to avoid criminal prosecution on bribery charges providing it met certain conditions in a remediation agreement. Conservative Leader Andrew Scheer had already told reporters that the Tories “will consider emergency actions in Parliament to stop this coverup and highlight what Justin Trudeau has done” — but he wasn’t clear on what exactly those actions would be. “This is an abuse of power. It’s an affront to democracy and an attack on Parliament,” Scheer told reporters Tuesday after the committee finished meeting behind closed doors. Opposition MPs had been pushing for Wilson-Raybould to return to the committee to talk about why she later resigned from cabinet. 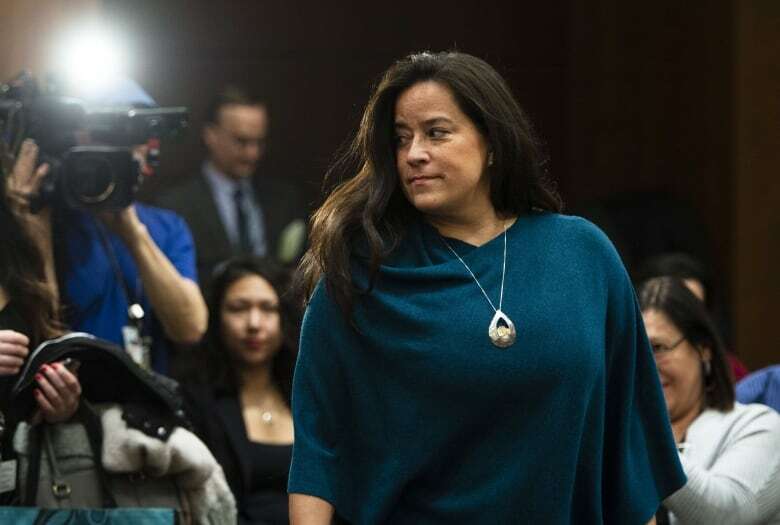 Wilson-Raybould testified for nearly four hours during her appearance in front of the committee last month, but has said has more to say. “What happened today is absolutely outrageous,” said Conservative MP Michael Cooper. Liberal MP Randy Boissonnault told reporters Tuesday it’s time for the committee to move on. The five Liberal members signaled their intentions Monday night, when they wrote to chair Anthony Housefather, saying their work is done and any further examination of the SNC-Lavalin affair should be left to the conflict of interest and ethics commissioner. “As committee members, we have achieved our objectives with respect to these meetings,” the letter said. “Following the testimony of all witnesses, we believe that all the rules and laws were followed. The day started on rocky footing. Soon after the meeting started Tuesday, the Opposition MPs left the committee rooms, accusing the Liberals of making a mockery of the in-camera proceedings after a document detailing a motion related to hate crimes was handed to reporters and subsequently tweeted out. Conservative Lisa Raitt said it called into question what is actually in camera and what is not. “This is yet another effort to change the channel,” added MP Murray Rankin. In the letter signed by Boissonnault, Iqra Khalid, Ali Ehsassi, Ron McKinnon and Colin Fraser, the MPs write that they set out to probe the allegations with an “open mind,” but accuse the opposition MPs of falling short. “We note that the opposition parties rushed to judgment even before hearing all the relevant information,” the letter said. The prescheduled meeting also comes a day after Clerk of Privy Council Michael Wernick, a key player in the story, announced he would be stepping down after 38 years of public service. While he called the move a retirement, he said there is “no path” for him to have a “relationship of mutual trust and respect” with opposition party leaders. He has denied making “veiled threats” to pressure Wilson-Raybould.